The West Advisor® has been a trusted source for technical boating information since we published our first Master Catalog in 1987. Based on experience gained from thousands of miles of boating on a wide variety of craft, building and maintaining power and sail vessels and fixing stuff on our own boats, you'll find the West Advisor to be helpful, frequently opinionated and always entertaining. 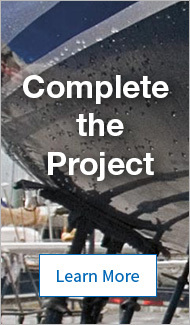 = Do-it-Yourself Project, = Video Included, = .pdf File. How do the Valves Work on West Marine’s Boats? A sailor, scuba diver and veteran liveaboard, Brian got into boating with the purchase of a 13’ Zodiac inflatable boat, which he used as a sport diver and also in the operation of a commercial diving business in Santa Cruz Harbor, California. Two other boats were to follow: first a Cal 2-29 and later a Catalina 30. During nearly 20 years of living aboard, Brian garnered a wealth of practical knowledge and experience. He’s a “hands on” kind of guy with extensive experience in the “nitty-gritty” world of vessel maintenance. From rigging replacements, traveler installations, head installations, varnishing, bottom painting, wiring projects, engine rebuilds and more, there are few projects that he has not tackled. Here at West Marine, Brian applies his knowledge as a West Advisor in the “Core Categories” of boat maintenance. Danielle Buenrostro has been an accomplished editor and writer for multiple publications for more than 15 years. Her life on the water began at an early age snorkeling, waterskiing and swimming various lakes, the Outer Banks and sunny shores of the Carolinas. 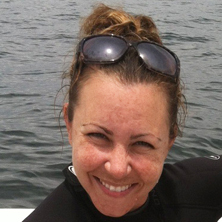 As an adult, life’s journey took her to the pristine emerald waters of the Florida Gulf Coast, where in addition to exploring shipwrecks as a PADI-certified diver, she has enjoyed many expeditions on her center-console powerboat fishing for cobia, grouper, amberjack and tuna. She is now a “three-coast veteran,” and currently resides in the Monterey Bay area where she continues to enjoy SCUBA diving, kayaking, spearfishing, crabbing, offshore fishing and stand-up paddleboarding. Danielle shares her aquatic expertise as a West Advisor with a focus on watersports, dive, paddle sports and fishing. 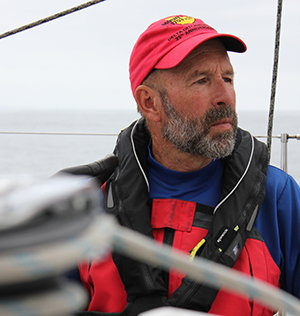 Tom Burden is a lifelong boater, boatbuilder, sailing instructor and champion racing sailor. 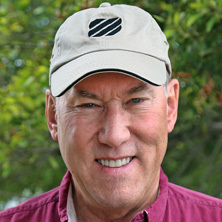 Tom was a West Marine associate from 1995 until 2018. When he began his West Marine career he was one of our Product Advisors, providing technical help and answers for boaters in our call center. Tom has written about and photographed boats, and his articles appear in our catalogs and website, as well as in many boating magazines. Tom competed in the 2016 Singlehanded Transpac sailing race from San Francisco to Kauai onboard his Cal 40 sailboat, Shaman, finishing seventh out of 23 competitors. He also sails and races Lasers and El Toros, drives a 1986 Invader 17.5 OMC bowrider runabout on a local lake, and messes around on kayaks and stand-up paddleboards.